They say there are certain things one must experience at least once during the long and somewhat arduous drive to Las Vegas from LA. 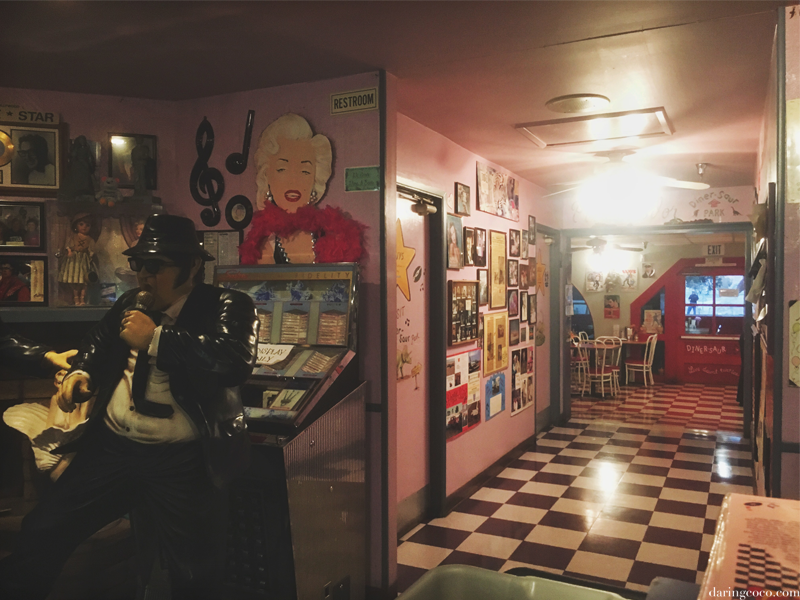 One of those experiences includes a stop at Peggy Sue’s 50’s Diner. Truth be told, you can’t actually miss this diner because there are numerous vibrantly hued billboards sprinkled along the sides of the freeway indicating where to turn off for Peggy Sue’s 50’s Diner. The retro typography and lure of 1950’s whimsy, daring you to take the exit and proceed towards a grand pink building. 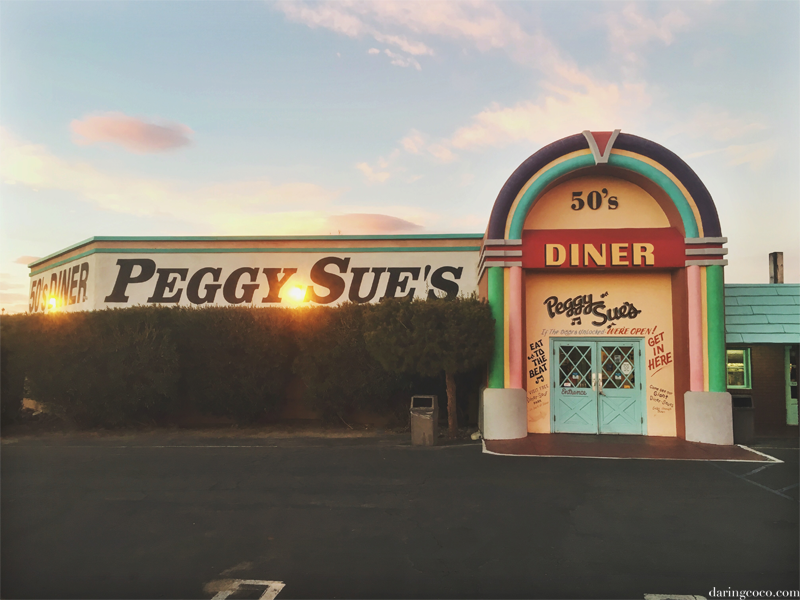 One that is ever so contrasting against the rust like tones of the surrounding mountains and desert sands that surround Peggy Sue’s 50’s Diner. 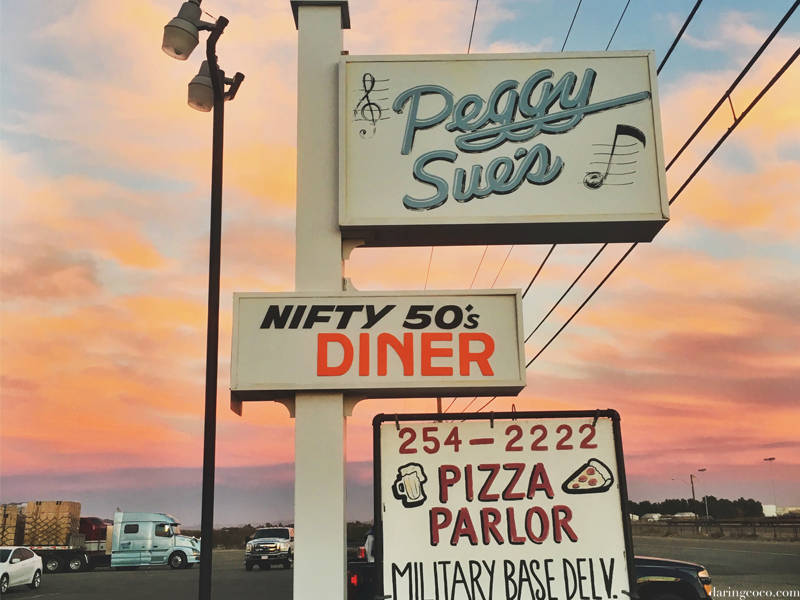 The encounter with Peggy Sue’s 50’s Diner is more out of novel fancifulness than for sumptuous cuisine. And while my travel companion may digress, personally I found the food to be lacking. Edible yes, but not something that leaves you salivating for more. And I think this is general understanding for most who venture here. 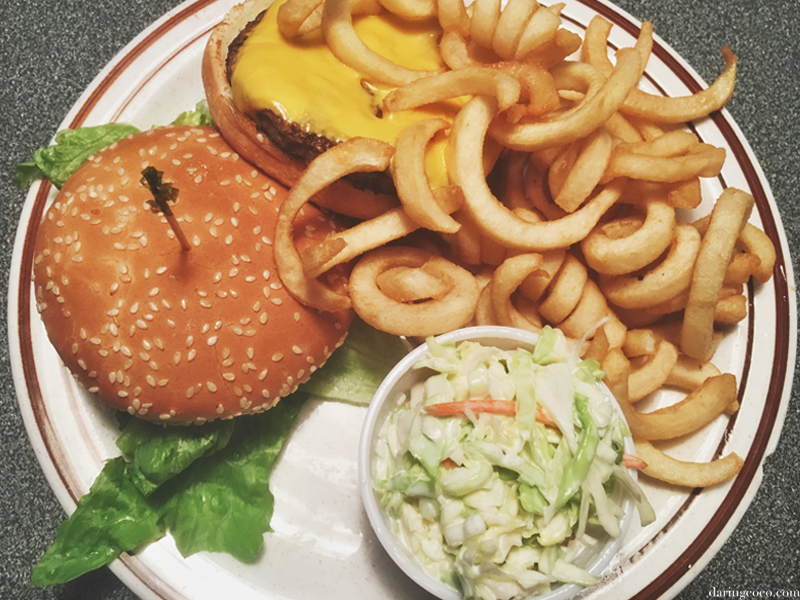 Because you simply don’t come to Peggy Sue’s 50’s Diner for award winning burgers and curly fries. No. You come to Peggy Sue’s 50’s Diner for uniqueness and oddity. You come here to peruse the laminated menus and chuckle over burgers named after Hollywood icons. 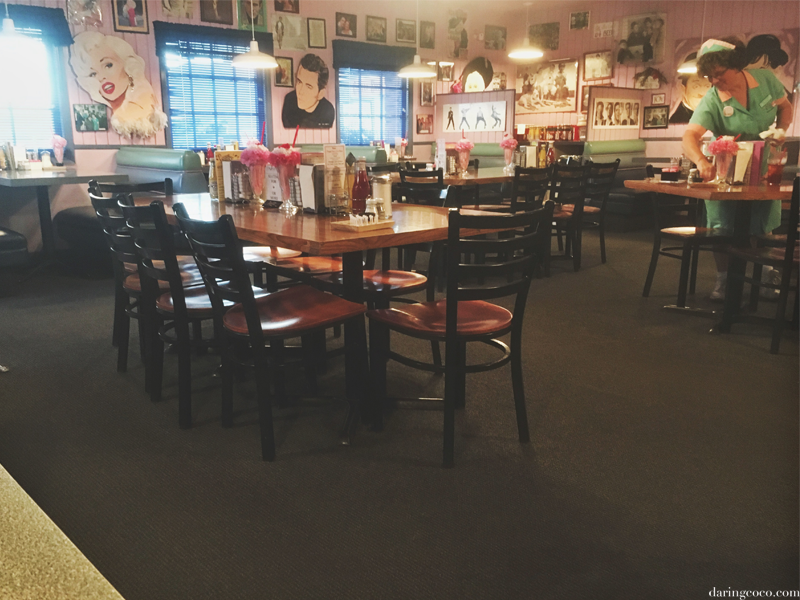 For the 1950’s diner “feels”, of worn out booths and pink walls decked in forgotten memorabilia. For the hospitality of waitresses dressed in muted green uniforms of yesteryear paired with pink frilled aprons and white tennis shoes. And for the free sticks of old fashioned gum you receive upon payment of your bill (something which is collected at their gift store). 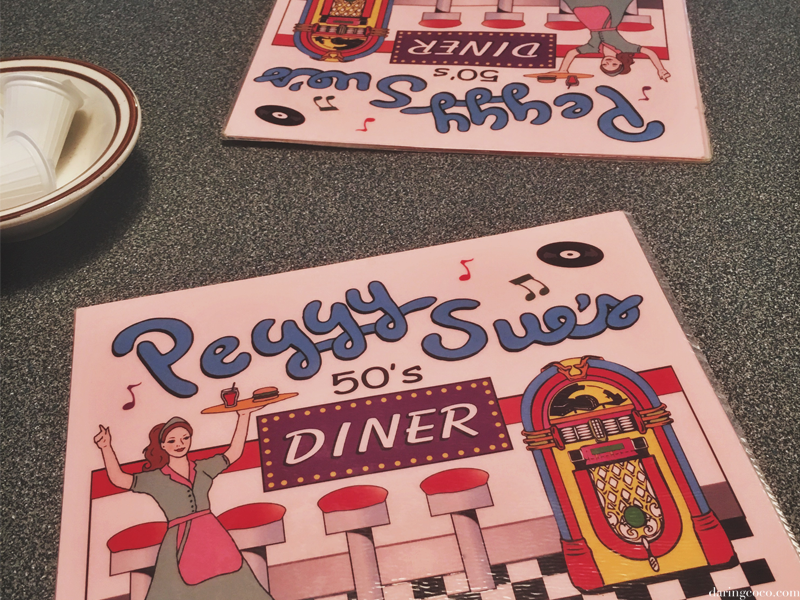 You come to Peggy Sue’s 50’s Diner for an amusing and eccentric encounter. 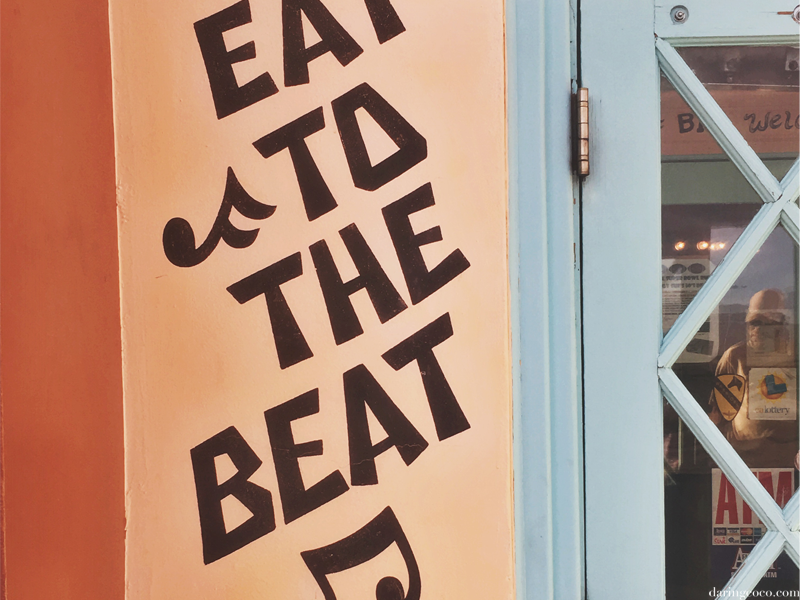 Food is just a plus.